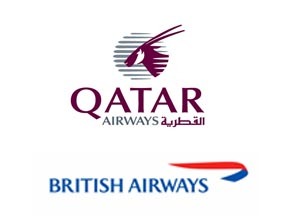 Qatar Airways and British Airways’ parent company, International Airlines Group (IAG), have announced a joint business agreement that will come into effect on October 30, 2016. The joint business will see the two airlines code-sharing on all non-stop flights between the UK and Doha, to offer customers a combined route network that will serve more than 70 destinations. 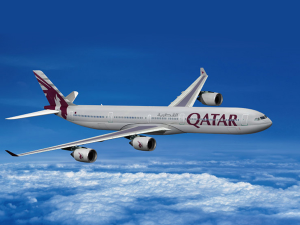 Between the airlines’ hubs of London and Doha the new partnership will offer seven daily non-stop services in both directions. The will benefit customers by offering a wider choice of flights, an enhanced network, greater choice of fares and superior benefits for members of their frequent flyer programmes. This partnership will allow the carriers to provide passengers with better links and an even more seamless travel experience between the UK, Asia, Middle East and Africa. Tourism Ireland CEO Niall Gibbons has unveiled the Emirates Airline and Tourism Ireland Sales Mission at Jumeirah Creekside Hotel, Dubai. 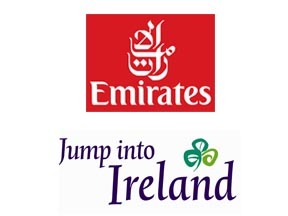 The Sales Mission is part of Tourism Ireland’s continued efforts to drive tourism from the UAE to the island of Ireland and provides unique networking opportunity for Irish suppliers and the UAE travel trade community. With six speakers, five presentations and a networking session followed by a series of one to one sessions with Irish suppliers, the mission was attended by 90 tour operators and included a key note speech from Gerald Lawless, Head of Tourism and Hospitality at Dubai Holding. Nine Irish suppliers attended the mission, including DMC’s, hotels, retail outlets and attractions. The Sales Mission showcased the island of Ireland’s filming locations of hit TV series Game of Thrones and blockbuster movie, Star Wars. During his visit to the UAE, Gibbons also met with Mohammed Al Rais, CEO of Al Rais Travels. Tourism Ireland and Al Rais Travel have recently joined together to bring one of the region’s top bloggers, Taim Al Falasi, to tour the island of Ireland. During the Sales Mission, Al Rais Travel launched a new seven day itinerary ‘Taim’s Ireland Experience’, allowing fans of the blogger to follow in her footsteps and experience the island of Ireland. As part of the destination’s focus on innovation to attract new audiences, Tourism Ireland also invited agents and partners to view a series of Virtual Reality Films during the roadshow which brought stunning itineraries to life including The Wild Atlantic Way and Belfast City through personal VR viewers made available to attendees. A new transit visa structure unveiled by Qatar will now allow passengers with a minimum transit time of five hours in Hamad International Airport, to stay in Qatar for up to 96 hours (four days), without the requirement to apply ahead of time for an entry visa. 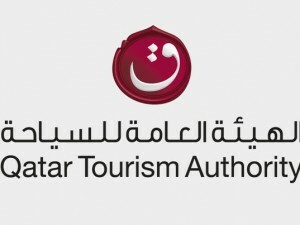 Qatar Airways, Qatar Tourism Authority and Qatar’s Ministry of Interior recently announced this revised tourism visa scheme in a move to promote Qatar as a world-class stopover destination. This is a significant increase from the previous transit visa scheme, which allowed travellers with a minimum layover of eight hours to spend a maximum of 48 hours (two days) in Qatar. This increase is designed to make stopovers easier and more attractive to Qatar Airways’ global passengers, and aims to deliver additional value to the local economy while strengthening Qatar’s position as an attractive tourist destination. The Qatar transit visa is free of charge and available on arrival at Hamad International Airport to passengers of all nationalities, upon confirmation of onward journey and completion of passport control procedures. All visas are approved and issued at the sole discretion of the Ministry of Interior. The development, announced on the eve of World Tourism Day, is the third in a series of enhancements that Qatar has made to facilitate entry into the country for visitors. Last week, officials announced a new process to quicken the entry of tourists arriving on board cruise ships, and earlier, representatives signed an agreement with VFS Global, which will see the development of a new, faster and more transparent tourist visa application mechanism. Emirates has revamped its corporate loyalty programme, Emirates Business Rewards, to provide greater value and added features for customers. The new programme has been simplified and made more competitive to allow upgrades on last minute bookings. One of the biggest features is the ability to use Business Rewards Points to book any commercially available seat at any time giving members cash-like convenience. Emirates is the first and only airline in the region to offer such flexibility as part of its corporate loyalty programme – improving cost-effectiveness for business travel. 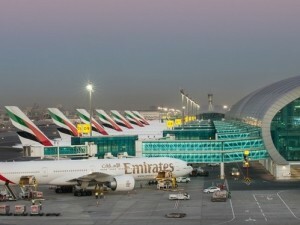 Emirates Business Rewards has enhanced its user-experience with easy-to-use customer dashboards. These include tools to manage and book services for employees, and monitor the savings accumulated so far on the programme. In recent times, Azerbaijan has become one of the most visited tourist destinations for the UAE nationals and expatriates as well. Azerbaijan Airlines promoted special packages for Eid from Dubai to Azerbaijan. In a move to further enhance their operations, the airline has appointed Aviareps to represent the airline in 12 other markets apart from the UAE. 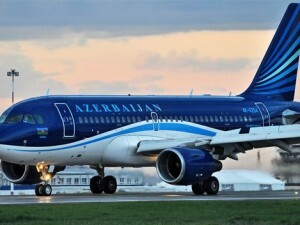 The appointment, made with immediate effect, is the result of the airline strategy to broaden its brand and sales outreach among travellers and travel industry leaders both in markets with direct Azerbaijan Airlines flights, such as the online markets of China, Czech Republic, France, Germany, Turkey, Spain and the United Kingdom, as well as in the strategically important offline markets of Denmark, Malaysia, Netherlands, Norway and Sweden, where the airline does not operate direct flights. As part of the representation, AVIAREPS will act as the airlines’ sales agent, responsible for its sales and marketing activities within the specified markets. More details in our print version in October 2016. 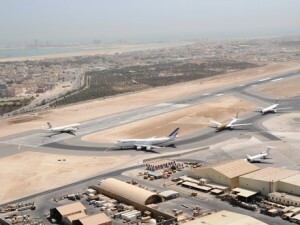 According to sources the Bahrain airport expansion work is to start next month (October). The project will boost passenger capacity to 14 million with an estimated cost of $1.1 billion. The foundation work includes the transfer of Bahrain Aviation Fuelling Company facilities, the building of a main access security gate, the setting up of a new fire station, and the establishment of new staff car parks. It is one of the biggest projects ever held under the Gulf Development Fund. More details to be released soon. Seychelles becomes Turkish Airlines’ third Island in the Vanilla Islands Group, with the addition of three weekly return flights to Mahe, Seychelles. Already flying to 48 destinations in Africa, Turkish Airlines will increase its flight network by adding Seychelles as another destination in the continent, bringing the total number of destinations that Europe’s best airline serves to 243 worldwide, and 49 in Africa. With the addition of Seychelles, Turkish Airlines, the airline that flies to more countries than any other airline by serving 117 countries will promise a great experience for users of the new route from Dubai, United Arab Emirates, with a one stop in Istanbul, Turkey. 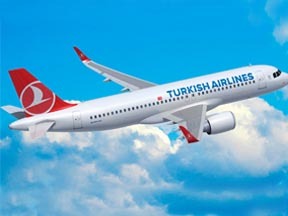 Three weekly flights will be operated on Mondays, Wednesdays and Saturdays, and the passengers will depart from Istanbul at 01:05 on board TK748 arriving at 10:55, with a return service on TK749 departing from Seychelles at 12:25 to arrive in Istanbul at 18:10 on the same days.